The partition was required to segregate two storage areas; one which would store chocolate and the other soup liquids and powders. 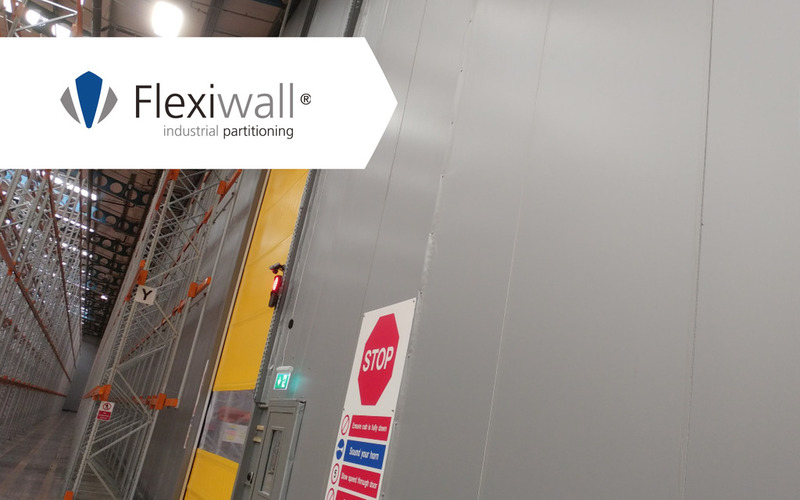 The Flexiwall FP560 sil-cloth fabric was an ideal solution for this project, firstly as it has an extra coating to stop odour permeating the fabric, and secondly, as it has a 1hr fire integrity. Flexiwall materials also carry thermal properties that enable enclosures to operate at different temperatures. The partition span a total length of 242m over two individual adjoining runs, to create a segregated area within the main warehouse. The partition height ranged from 12m to 15m at apex. Also included were several pedestrian doors, a Fastflex rapid action door, and some 100mm x 100mm angle protection bars, at ground level to protect the partition wall from pallet and forklift damage.